The chat moderation feature lets you manage your viewers and streamers can pause and review the chat feeds by clicking ‘alt/option’ and also to remove any objectionable message. You even have the authority of approving or rejecting a message. YouTube holds various messages for review that is not appropriate but it has the ability to opt-in to its flagging system which automatically reviews the inappropriate comments until the moderator approves or rejects it. The interesting part is, the more you review the messages, more it will get better. This tool helps the moderators use the hidden user list in live chat or comments. The video streamers can send the list of the blacklisted users to chat moderators either through video chats or video comments. 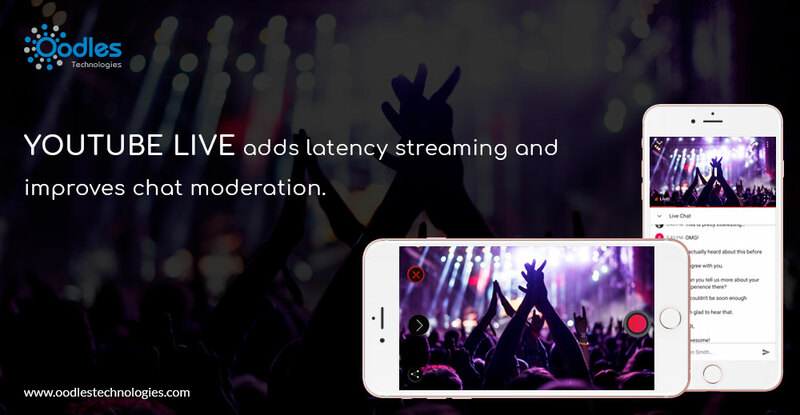 The another feature introduced is only for iOS users to take advantage of the platform’s ReplayKit feature it lets the user stream whatever is appearing on their iPhone screens. The screen sharing was earlier available for select app game on YouTube gaming but now you will be able to use your phone’s microphone and front-facing camera to add video and audio commentary to these streams.